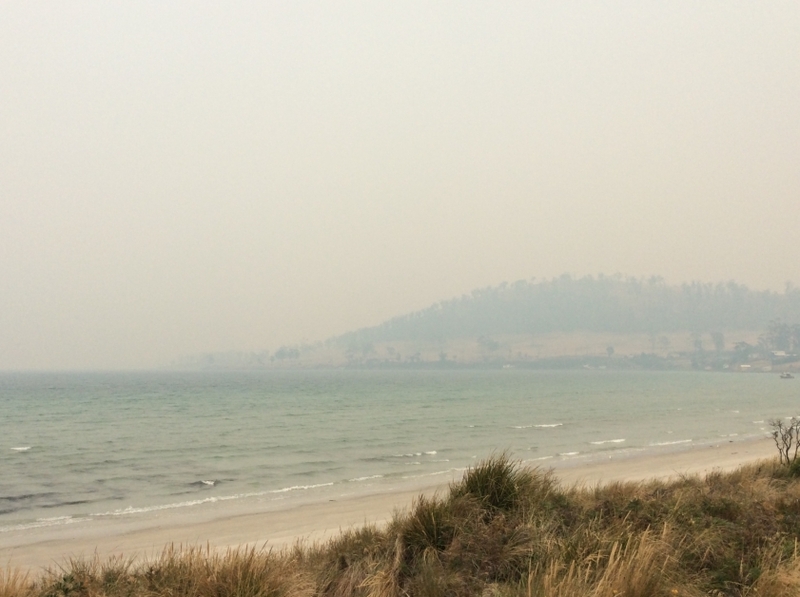 Dozens of fires have been burning out of control in Tasmania, destroying thousands of hectares, properties and threatening world heritage forests. Greenpeace supporters share their photos and stories from the firefront to bring attention to this climate tragedy. I feel we need to stop using fossil fuels and water for power here in TAS, and use the wind instead, there is plenty of it. Even more important is to stop the use of fossil fuels at so many power plants in other Australian states, the carbon emissions are killing the planet. 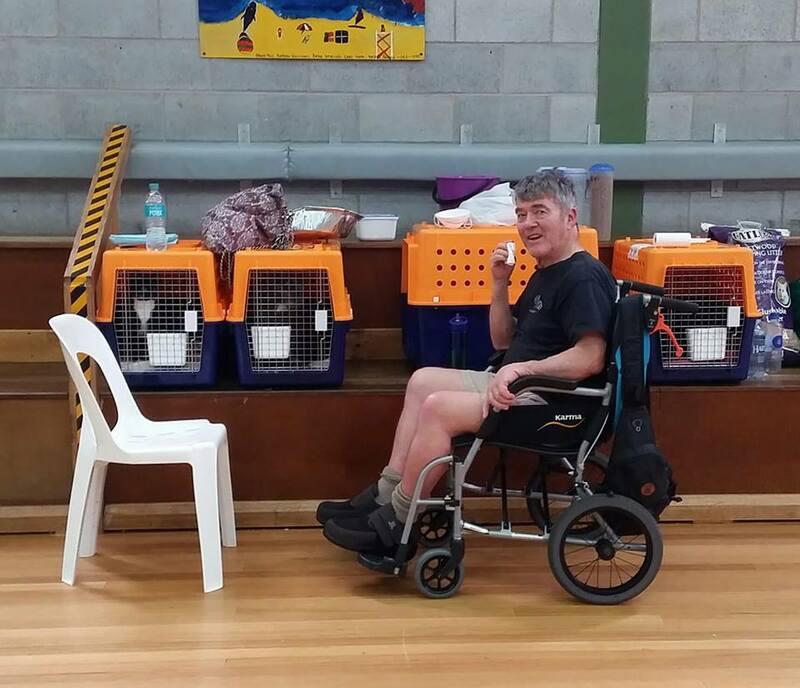 I attached a photo of my poor husband who was so uncomfortable in his wheelchair, sitting near our cats who were terrified. There were other disabled people, and small children in the center too. It was wonderful all the care we received from TFS, SES, Red Cross, and other emergency services while we were there, but if we could have never had to go it would have been so much better. Up to one million fish have suffocated and washed up dead in the Darling River. In Menindee, people are dealing with foul-smelling brown water they can’t even use for showering. I got a text on Friday morning that the fire in Zeehan was now an emergency, and to evacuate. I had already packed some things, so finished packing, got my 4 pets in their kennels, and my husband who is in a wheelchair, and we went to Queenstown. This is one of the worst ecological disasters and cases of environmental mismanagement in Australia’s history. I live in Geeveston, Tasmania - in the Huon Valley. I have evacuated four times in the past week or so. When I have been home (trying to pack to move), I have been smothered by dense, unbreathable smoke and ash resulting in sore throat, tight chest, sore eyes and feeling generally unwell. I am currently still unable to return home and don't know when I will be able to. Very very Smokey. Have had to keep the children inside for almost a week. Saddened by climate fuelled fires and lack of acknowledgement by politicians. The photo [above] is normally a view of water. The bushfires have burned through more than 190,000 hectares since they started at Christmas. Climate change is fuelling horror fires like these. Call on the major political parties to take action now. We're just on the edge of the fires, hoping the wind doesn't change. Prepared for an ember attack but will have to evacuate if things get more interesting. I work at Franklin in an aged care facility, luckily we were downgraded from emergency to watch & act today. Has been a little sporting to say the least. Saw some blue sky & some clouds for the first time in over a week. Does tend to lift the spirits somewhat, only a brief reprieve unfortunately. National Parks & our fire fighters are doing an amazing job in trying to save, us, our homes & our precious wilderness. To quote one of my close friends "It's not okay. I don't know what I'll be coming back to, or even when I can go back. I dread that I have lost everything. My whole life is in that house I haven't known anywhere else. I'm not okay, this is not okay" here message broke my heart but times this by thousands. As a resident of the Huon Valley the last few weeks have been devestating. Although out of immediate threat we have watched and waited as our beautiful valley has been lost. People are suffering with loss as well as living in a thick blanket of smoke that has been going on for weeks. 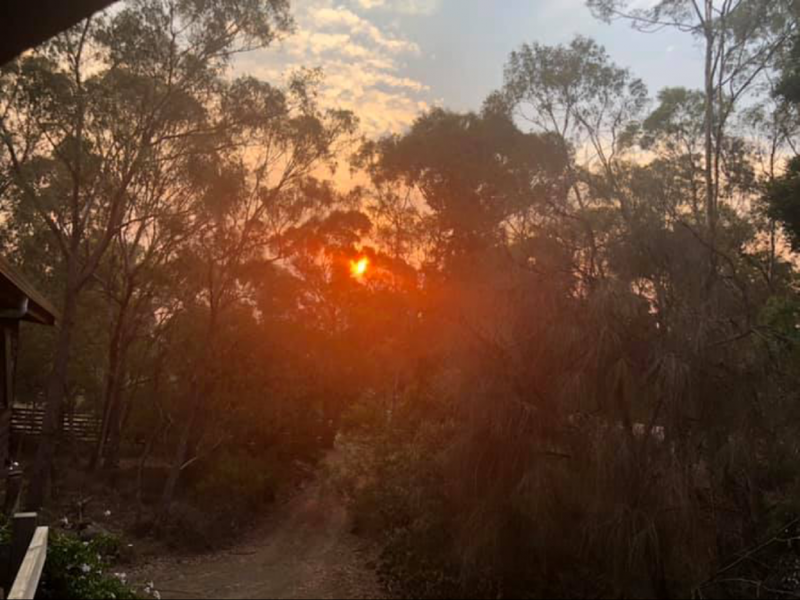 We hold our breath as winds increase and change direction and we wait for news from the massive fire front which is hundreds of kilometres long. I have cried as pictures have come in of our precious forest lost for generations to come. We have rejoiced when we heard that one of our big trees had been saved. We pray for rain as the fires continue to burn in the world conservation areas unchecked and unbridled as they destroy some of the most ancient and precious forests in the world. With little to no rain on the horizon we can't bear to think what will happen to our beautiful state as 3% of Tasmania has been lost. 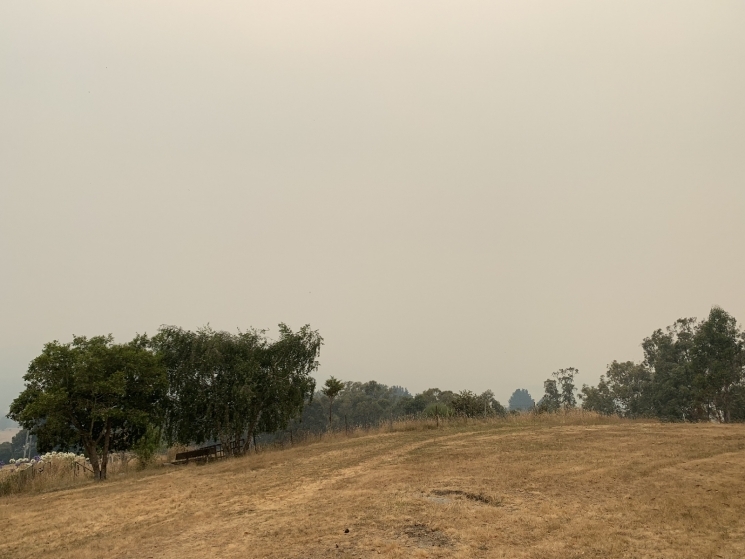 I live in Dover Tasmania on the edge of the wilderness I can see the fires southern front from my back gate , my teenage son and I have spent the last week preparing our property and home . We have been living in dense smoke and constant stress now for over a week our town is cut off supplies are coming by water. We are waiting for the inevitable and hope the weather and luck is in our favour. This fire in our valley seems unstoppable consuming all our natural forests ancient rainforest and the vulnerable plant and animal communities within it. Our major tourism icon has been destroyed whole towns rely on these natural assets for their livelihoods. Our valley will never be the same it’s natural beauty it’s drawcard and our community scarred for years. It takes hundreds of years for these forests to regrow. Will that even be possible with our changing climate. Our weather rainfall and winds have become increasingly erratic and our landscape is drier and warmer. Individuals do what they can but we need government to listen to the will of the Australian people and take strong action on climate change in our country and internationally. How much evidence do they need? Climate change is fuelling horror fires. Don't let the major political parties walk into the federal election with a plan. Authorised by Dom Rowe, Greenpeace Australia Pacific, Sydney.